Welcome to The International Centre, where we are committed to being a sustainable environment, providing a quality service in a manner which minimizes our impact on the environment. The International Centre recognizes that our business may have social and environmental effects and we are committed to mitigating these implications by adopting best practices through continuous improvement. The International Centre has partnered with the MPI Foundation to support local community groups and charitable organizations. Each year our staff participates in fundraising endeavors to assist in meeting the needs of these groups. Some of the organizations we are currently supporting include: George Brown College, Seneca College, SickKids Foundation and YMCA's Student Nutrition Program. Who says giving back can’t be fun? The International Centre participates in Set Sail for Hope, an event raising money for Camp Trillium, which supports children with cancer and their families. Plus, each year, our team provides balanced breakfasts to local students through the YMCA's Student Nutrition Program — because learning can only happen on a full stomach. We cultivate talent from the ground up with our commitment to industry-academia; investing through scholarships, internships, co-ops, curriculum development and monetary donations. The International Centre believes that giving back leads to growing stronger. 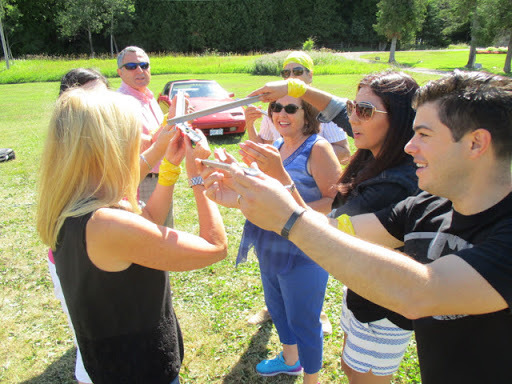 The International Centre’s STAR (Special ​Thanks And Recognition) Program rewards outstanding performance to employees, ensuring our employees who “do whatever it takes” to make your events truly exceptional are celebrated for their extra efforts. We have a CSR Taskforce of over 20 staff volunteers who meet monthly to design and implement the important initiatives mentioned here, our community outreach, employee engagement and environmental stewardship. The International Centre team continuously seeks to reduce and save energy. From lighting retrofits to equipment upgrades, we’re always looking for better, innovative solutions. 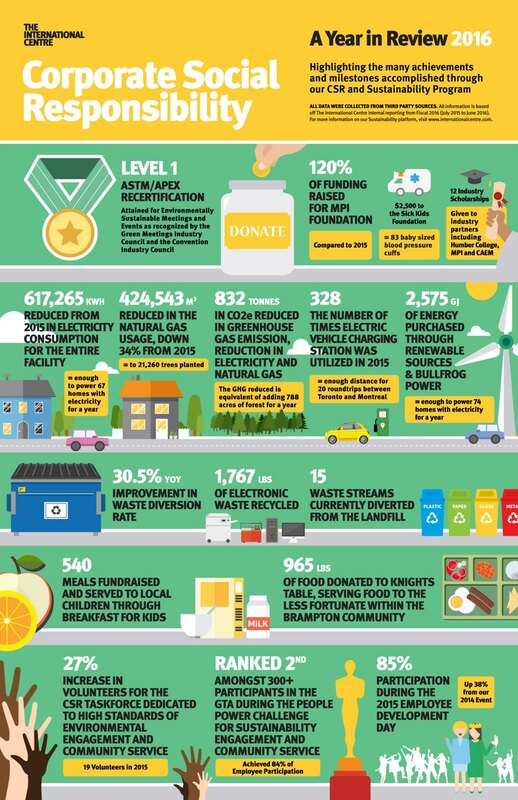 Waste diversion is an important aspect of this. We use china to reduce waste at our Craft Eatery — which also elevates the dining experience. We procure supplies that are 100% compostable and our cooking oil is recycled into fuel to heat barns. 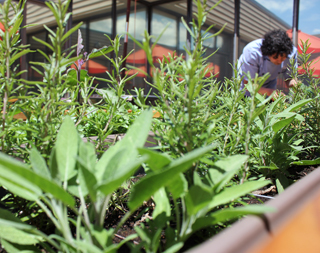 The International Centre has a rooftop herb garden where we grow fresh herbs and a selection of vegetables. Our kitchen aims at sourcing as many local in-season ingredients as possible. Whether it’s a menu for 10 guests, or upwards of 2000, local always tastes better. These many small improvements add up to a big difference. The International Centre is proud to host many sustainable and socially conscious events: Event Builders, High-Performance Solutions, Innovolve Group, Region of Peel, Smart Commute Mississauga, Canadian Manufacturers and Exporters, the Toronto and Region Conservation Authority, Climate Reality Leadership Corps Canada and the Canadian Water Summit. Anything from award galas and corporate meetings to trade and consumer shows, we’re happy to have you here celebrating sustainability with us. Planning your own environmentally sustainable event? 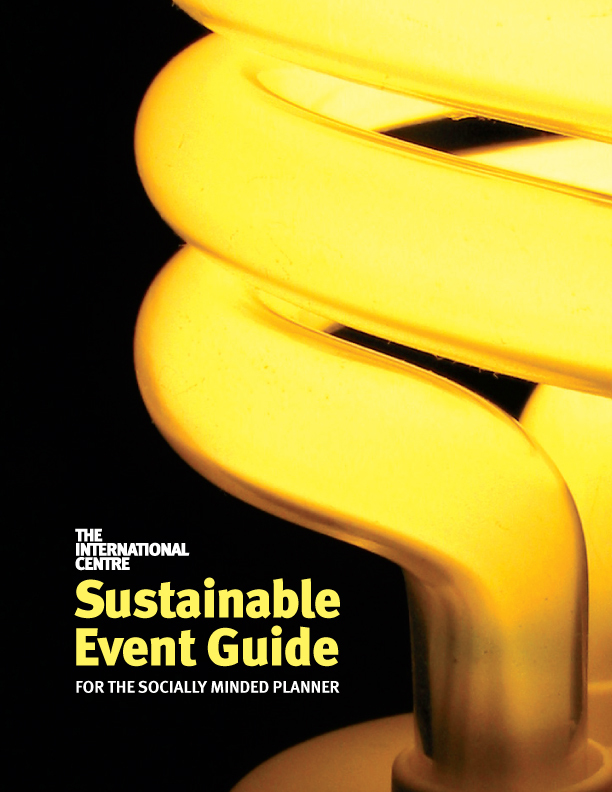 We have a lot of ideas to share in our Sustainable Event Guide. The International Centre is proud to share the Corporate Social Responsibility (CSR) and Sustainability Year in Review for 2016. The infographic shares some of the major milestones and key initiatives that were accomplished from July 2015 to June 2016 by The International Centre. 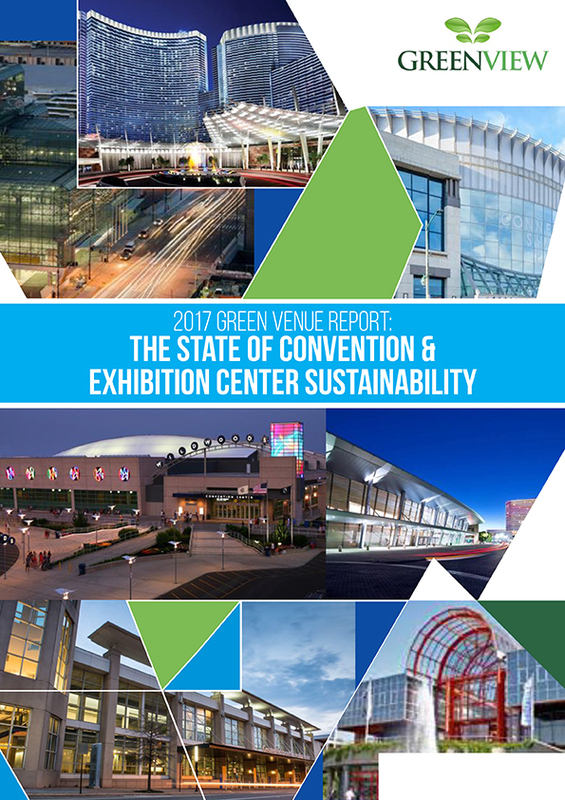 The Green Venue Survey and Report showcases how venues around the globe, including The International Centre are embracing sustainability. The adoption of sustainable business practices can lead to increased efficiencies, more engaged staff, more satisfied customers and competitive distinction. This report helps venues, planners and other tourism stakeholders better understand levels of performance, strengths and weaknesses with sustainable development in the meetings, incentives, convention and exhibition industry. 2011 – ‘Award of Excellence’ from VQA Ontario, the province’s wine authority, for a wine list that’s comprised exclusively of Ontario brands. 2011 – ‘Champion of Education and Training Award’ from the Canadian Association of Foodservice Professionals, for the continuous support of employee education.